What’s worse than Flying Mutant Zombie Rats? Try Slime Spewing Vampire Velociraptors that can turn the whole city into their slaves! When Pea opened a portal and the alien cat, Max Gigan, jumped through from another dimension, he certainly didn't expect the talking tomcat to stay on as a family pet. He soon learns it can come in handy to have a fur ball from an alternate universe around when his friend re-opens the portal letting in vampire velociraptors who want to slime and eat the whole city! Pea’s dad is one of the first infected. But his dear old dad isn’t the only one. The dinosaurs escape the museum where the portal opened, and rampage through Milwaukee. 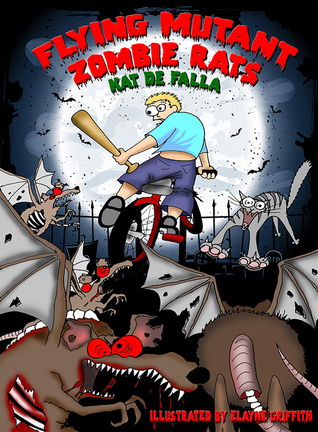 As Pea's dad gets sicker, the BMX gang joins together with the feline army to corner the raptors and use them to develop an antidote. But Pea's meddling step-monster brothers threaten to ruin everything! A city wide alert goes out for the misidentified "turkeys" while Pea and his gang try to stay ahead of the hunt. 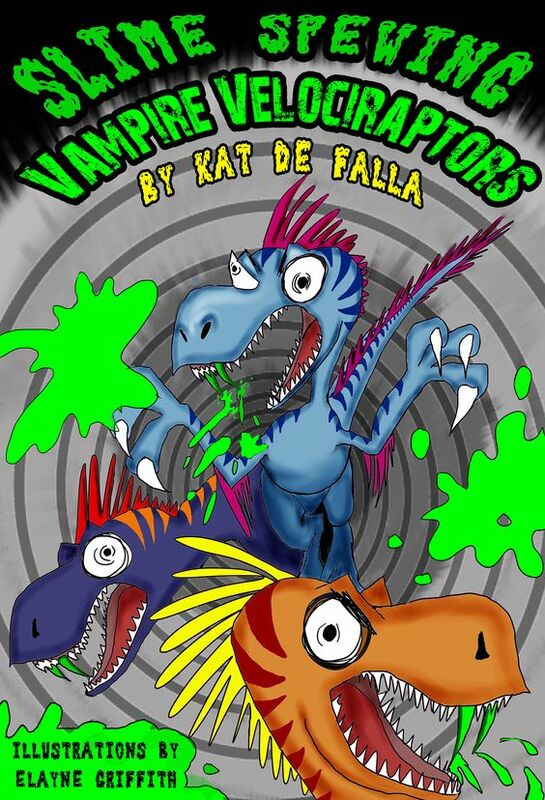 Can the kids capture the dinos and get them home before they control everyone with their vampire powers? Will Pea’s dad remain infected forever? 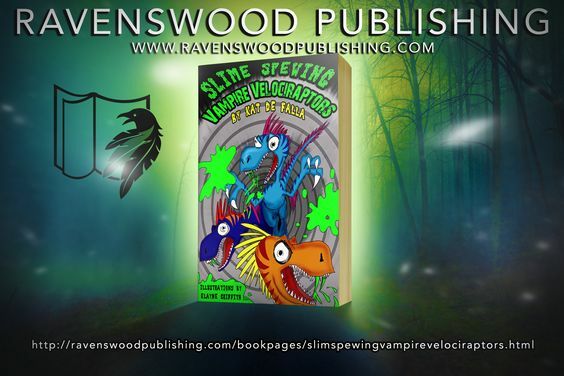 Join Pea and his gang in their battle against the SLIME SPEWING VAMPIRE VELOCIRAPTORS. Kat de Falla was born and raised in Milwaukee, Wisconsin where she learned to roller-skate, ride a banana seat bike, and love Shakespeare thanks to her high school English teacher. Four years at the UW-Madison wasn’t enough, so she returned to her beloved college town for her Doctor of Pharmacy degree and is happily employed as a retail pharmacist where she fills prescriptions and chats with her patients. She is married to her soulmate, classical guitarist, Lee de Falla and raising four kids together ala the Brady Bunch.